Opened 1961 in the former ballroom of Hotel Post. Since 2012, operated by the Theater an der Wien company. 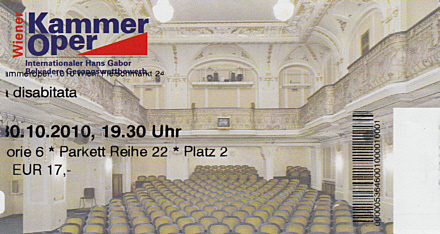 Front Text: "Wiener Kammeroper. Internationaler Hans Gabor Belvedere Gesangswettbewerb"